Questions to Ask Your New Farmer ..
Sally Fallon, the President of the Weston A. Price Foundation, once said that she depended on an army of “militant moms” to get the word out on nutrient dense foods. Those moms know how to ask important questions about raw milk. How do you collect your milk? Good collection techniques involve clean hands, clean containers and clean cows and goats. We wash the teats prior to collection into a stainless steel container or milking machine. How Soon Do You Chill the Milk? The ideal process lowers the milk’s temperature to less than 45 degrees Fahrenheit within two hours. What Do You Feed Your Cows and Goats? Many people have realized the problems with confinement dairies. Diets of excess corn can lead to acidosis in the cows. However, not all cows can thrive in switching to a grass based diet over night. 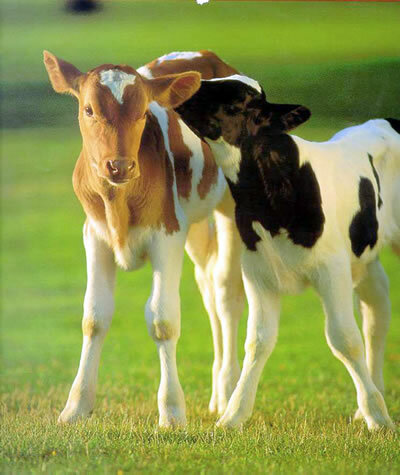 Most farmers care deeply about their animals will not let them suffer, just because “grass-fed” beef is popular. Look for a provider who has the wisdom to know when a lactating cow needs a little something extra to keep her weight up. Goats should be fed high quality legume hay or pastures designed for goats. 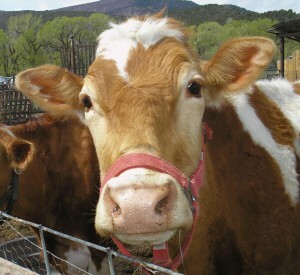 Most cows yield anywhere from 3 to 5 percent fat in their milk. In fresh milk, it rises to the top of the bottle. That’s what gives it that burst of flavor. Expect the cream to be there.